The Blazer name could make a comeback. Crossovers are the new hotness, and automakers are looking to cash in by offering a size and shape for every customer. With Chevrolet's debut of the new 2018 Traverse in Detroit, which grew ever so slightly compared to the first-generation model, there is now a midsize-crossover-sized hole between the three-row Traverse and the compact Equinox. When asked about that obvious space, a Chevrolet spokesperson told us the company is looking into the possibility of expanding its crossover lineup. It should be a relatively simple thing to do, since all it would take is reskinning and rechristening the GMC Acadia with a bow tie, and we all know how much GM loves platform sharing. 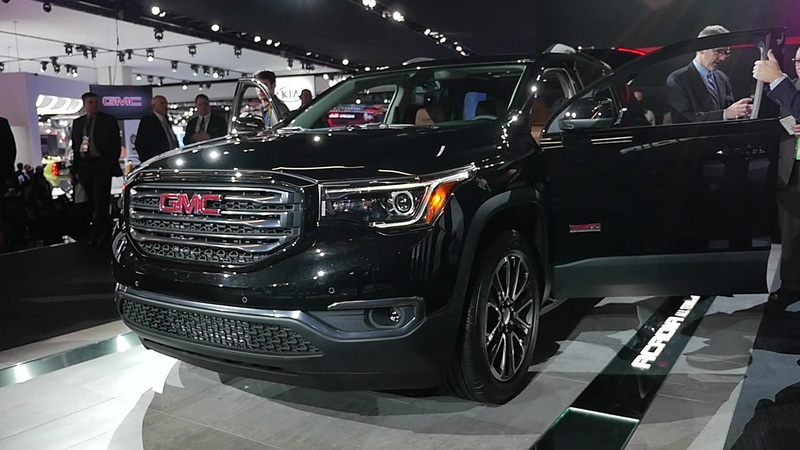 Although they're now different sizes, the new Acadia and Traverse still use the same platform; the Acadia is now on a short-wheelbase version of the C1XX while the Traverse uses long-wheelbase C1XX parts. A short-wheelbase Chevy built on the C1XX likely would be differentiated visually from both the Acadia and the larger Traverse. It may seem like flooding the lineup with more and more models would cannibalize sales of existing ones, but Chevrolet said it would rather have customers stay within the brand rather than going to another automaker. There have been whispers that some form of the Blazer name (possibly TrailBlazer) may make a return on a midsizer, but if it does don't expect an old-school body-on-frame SUV like the old one. In the end, if Chevy builds it, customers will come.